As a nurse, Abby Pearson has seen her fair share of classrooms, lecture theatres and training sessions, usually learning alongside fellow clinicians. But when she took her place in the relatively anonymous setting of a Leicester hotel in spring 2018, her fellow learners included a shop manager, a fundraiser, a volunteer coordinator, and people working in information technology and marketing – all fellow employees of the charity Sue Ryder. 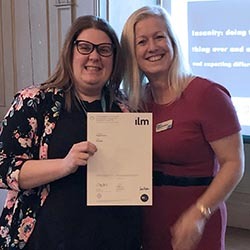 Ms Pearson was taking part in the SUCCEED programme for leaders and potential leaders across the organisation, which supports people with complex needs and life-threatening illnesses. For Ms Pearson, a team leader at the Sue Ryder Wokingham Day Hospice, it was a revelation. ‘I was new to leadership when I joined Sue Ryder, and wanted to learn more about it,’ she says. ‘Also, for me as a nurse, it was good to meet people I wouldn’t normally get to meet – when I worked in the NHS, I wouldn’t have met anyone from fundraising, for example – and to find out that we had a lot in common. Bringing together employees from all departments to learn together, the senior management development programme aims to foster greater understanding and a shared ethos throughout the organisation, as well as support staff to develop their own leadership potential and style. 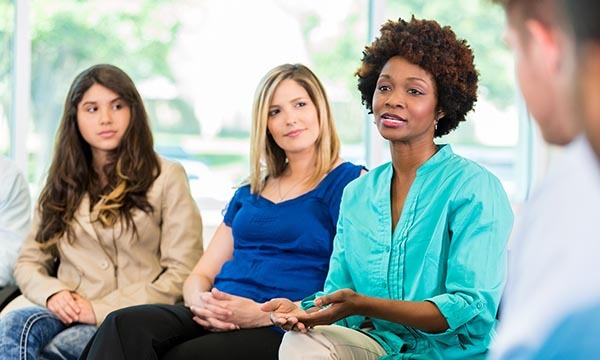 It is delivered in four two-day modules, and participants are expected to take on a service improvement project, share their goals and work with each other. Supporting learning across professional boundaries is good for the organisation and for individuals, says Sarah Gigg, director of nursing at Sue Ryder. Part of the SUCCEED process involves an appraisal in which participants have to ask their staff what they think of them as a leader. Ms Pearson admits this was daunting. ‘It was anonymous, so they could be honest. I felt vulnerable, but it was interesting. I received good feedback but they said I needed to delegate more. She gives the example of drawing up personal emergency evacuation plans for people attending the day hospice, a task she has now delegated. The plans have to be updated every day, and involve grading people based on the level of support they would need, such as whether they are completely immobile or if they can manage using a stick. ‘It’s quite straightforward but it’s a time-consuming job, and the person who has taken it on really enjoys it,’ she says. Topics covered in the programme include leadership style, models for change and how to manage change. Talking through scenarios with other people on the programme, and how they would manage them, taught her about her own leadership style, which she believes is based on compassion and supporting people. ‘A lot of that is really what you’d expect from a nurse,’ she says. Others on the course were more focused on practical issues such as deadlines and costs, she says. Working with people from different professional backgrounds also had an unexpected side effect. ‘A manager from the retail side was talking about targets and deadlines – I started to pick up the lingo,’ she says. It has encouraged her to go on an assertiveness course and she is also considering studying for a master’s degree – something she believes her employer would support. Ms Pearson joined Sue Ryder in January 2017, first as part of a pilot scheme for a telephone palliative care service, before settling in her current role at Wokingham Day Hospice. Although she loves the NHS, she was partly inspired to move to the third sector because she worried about doing the job as well as she wanted to, given the constraints of the cash-strapped health service. The palliative care job came up and she hasn’t regretted the move – not least because of the opportunities for training and personal and professional development.